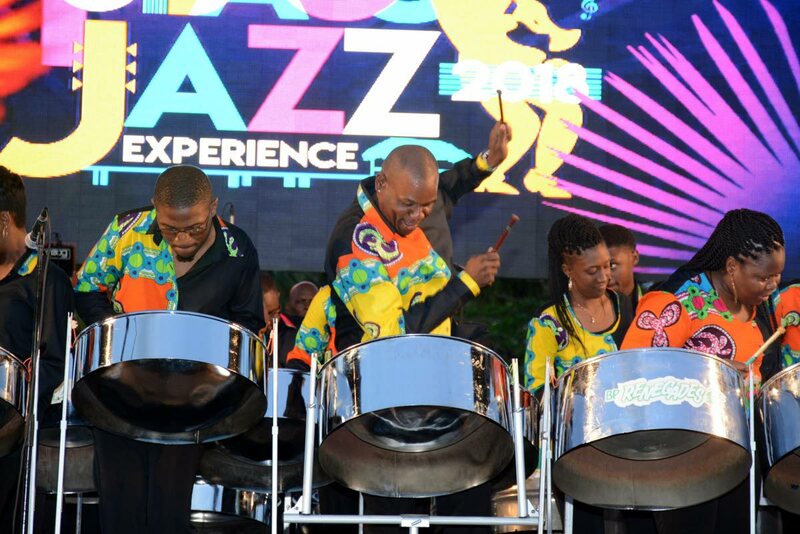 Pannists with BP Renegades perform at 2018 International Music Night of the Tobago Jazz Experience the Pigeon Point Heritage Park. FOR SOME, names like Billie Holiday, Miles Davis, Duke Ellington, Wynton Marsalis and John Coltrane evoke the essential jazz experience; the one most closely linked to the pain and self-discovery that the early years of the music represent. New Orleans is where this unique sound originated, nurtured by African rhythms, musical input from the American south and, later on, influences from Latin music traditions. In TT, our brand of Caribbean Jazz evolved through pioneers like Andre Tanker and Clive Zanda. Younger generations like Chantal Esdelle, Elan Parle and Etienne Charles eventually created their own sound. However, to a large extent, jazz music has remained a niche interest, enjoyed by an older, more affluent demographic, who connect traditional jazz to their youthful memories. It may surprise you to know that one of the first jazz festivals took place as early as 1954. Called the Newport Jazz Festival, it was a jazz purist’s dream. Imagine, on the Saturday night, performances by headliners like Billie Holiday and the Dizzy Gillespie Quintet. And the following day? The Oscar Peterson Trio and Ella Fitzgerald, amongst others. The Montreau Jazz Festival in Switzerland started in 1967, while the New Orleans Jazz & Heritage Festival began in 1970, inspired by gospel singer Mahalia Jackson. Gradually more jazz festivals began to take place around the world, from Montreal to Cape Town and Copenhagen, which features jazz for children, poetry with jazz and other innovations. Caribbean nations entered the jazz festival arena in the 1990s, primarily as a mechanism to boost tourism and the economy. St Lucia was among the first in 1993 with its combination of acoustical and fusion jazz as well as rhythm and blues (R&B). Others such as St Kitts opted for a world music approach with everything from gospel to calypso, zouk and some jazz. Tobago entered the fray in 2005 with the Tobago Gourmet Jazz Festival, featuring mainly R&B headliners, and other styles such as soca, calypso and pan jazz. A new incarnation emerged in 2009, the Tobago Jazz Experience, with a similar musical approach. This year, controversy again reared its head, as members of the Tobago business community raised concerns over lack of tendering for a more than half-a-million-dollar contract to market the event. Event organisers responded that given the time frame, they needed someone with the experience of treating with an event of this size. Members of the Tobago private sector asked other important questions: With an event less than three weeks away, flights already sold out for some of the days, to whom is this event being marketed? And if it is believed that this festival is important to boost the economy, how could this late start be justified? Reading the reports caused me to wonder again about the real impact of this event on our nation. Further, by continuing to de-emphasise the jazz content, are we not losing opportunities to make profound links with our youth and communities in need through jazz? I think so. Understandably, festivals must be able to attract large audiences to be sustainable. But the fundamental notion of a festival is to connect with society through arts and culture. Why not reimagine the purpose behind a festival like this, and address the issue of longevity by serving real social needs as part of its conceptualisation? This is not as far-fetched as it sounds. Organisers of the St Lucia Festival decided to return to a primarily jazz format as they realised that their event had become a “watered down product.” This year, they have aligned with the prestigious Jazz at Lincoln Centre led by Wynton Marsalis to produce a festival with some of the biggest names in jazz, artist-in-residence programmes and even members of the New Orleans Jazz Orchestra. So if we are brave enough, we too can make meaningful interventions though jazz and still get people to come out and “tap their feet” to the music. Think about it. Reply to "Reimagining our festival of jazz"